Some shakeups are being announced at Ford this week. According to Trucking Info, John Ruppert, Ford Motor Co.’s fleet executive is moving up to its commercial truck division. Fritz Ahadi has also been appointed as Ford’s new general manager of commercial and government operations. For more details visit Trucking Info. 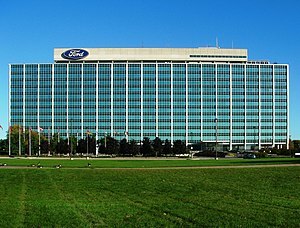 English: Ford Motor Company Headquarters, Dearborn, Mi. The Glasshouse; built in 1956, architect: Skidmore, Owings & Merrill LLP (Photo credit: Wikiped.